The end of a season always brings change. When the year comes to a close, several relationships, careers and streaks end as well. This weekend at Homestead-Miami Speedway will be no different. We will say goodbye to a countless number of drivers, crew chiefs, teams and sponsors. Some of them, we may never see again, although their memories will live on in the hearts of NASCAR fans forever. Here are your final goodbyes from Homestead 2018. Furniture Row Racing – FRR will run its final race Sunday (Nov. 18) at Homestead-Miami Speedway. The team will run its 451st and last Cup race dating back to the 2005 season. Over the years, the team has accumulated 18 victories and notched the 2017 Monster Energy NASCAR Cup Series title with Martin Truex Jr. They’ve also been wildly successful despite having their shop in Denver, nearly 2,000 miles outside the NASCAR hub of Charlotte. Jamie McMurray – It’s possible we’ll say goodbye to McMurray as a full-time competitor after Sunday’s race. He’ll will make his 582nd career Cup start on Sunday, winning seven races along the way. Who could forget when he burst onto the scene, winning his first Cup race subbing for Sterling Marlin in just his second Cup race back in 2002? 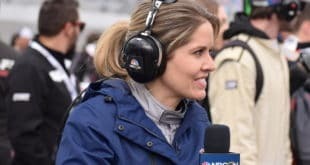 There’s still an option McMurray will run the 2019 Daytona 500 with Chip Ganassi but the future beyond that is murky at best. Matt Kenseth – This one feels redundant. Kenseth will most likely make his final Cup Series start on Sunday, driving the No. 6 Ford for Roush Fenway Racing. 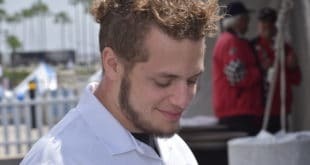 He has no official plans for the 2019 season, although he doesn’t want to run full-time. The 2003 Cup Series champion and 39-race winner will almost certainly be receiving a Hall of Fame jacket. A.J. Allmendinger – While nothing has been officially announced, it sounds like Allmendinger has run his last full-time Cup Series season. He recorded one victory in 370 starts prior to Sunday’s race at Homestead-Miami Speedway, a road course win at Watkins Glen back in 2014. Ryan Preece will drive the No. 47 Chevrolet in 2019 while Allmendinger, 36, is widely expected to head to sports cars. Cole Whitt – Whitt has decided to spend more time with his family, ending what was a part-time schedule with TriStar Motorsports. His last race was Phoenix last week. 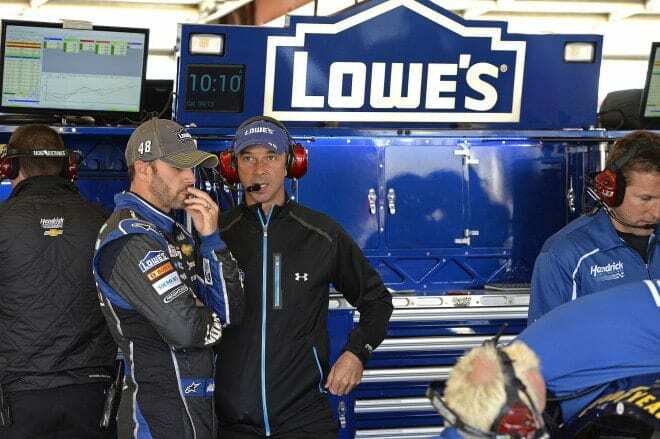 Jimmie Johnson & Chad Knaus – Sunday will mark the final race for Johnson and Knaus as a crew chief and driver combination. Come Daytona in February, they will be moving on after a 17-year relationship that registered 83 wins and seven championships. Knaus will move to rookie William Byron’s team next season while Johnson will welcome Kevin Meendering as his crew chief. Jimmie Johnson & Lowe’s – Together, the duo has become one of the most iconic relationships in NASCAR history. Lowe’s will leave the sport after the 2018 season, ending a 17-year relationship with Johnson. Ally Financial will sponsor the driver in 2019 & 2020. Ryan Newman & Richard Childress Racing – Newman has been a driver of the No. 31 Chevrolet since Jeff Burton’s retirement prior to the 2014 season. 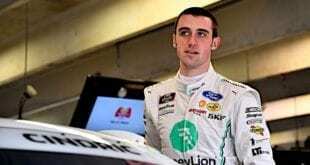 Newman will move onto Roush Fenway Racing while NASCAR XFINITY Series title contender Daniel Hemric will take over the No. 31 Chevrolet. It’s easy to forget this duo finished runner-up in the title race during the first year of NASCAR’s new format in 2014. Matt DiBenedetto & Go FAS Racing – DiBenedetto joined the organization prior to the 2017 season. He will drive the No. 95 Toyota for Leavine Family Racing next season while no replacement has been named in the No. 32 Ford. Daniel Suarez and Joe Gibbs Racing – Suarez will move on from the No. 19 Toyota after the team announced last week Truex will drive the car in 2019. 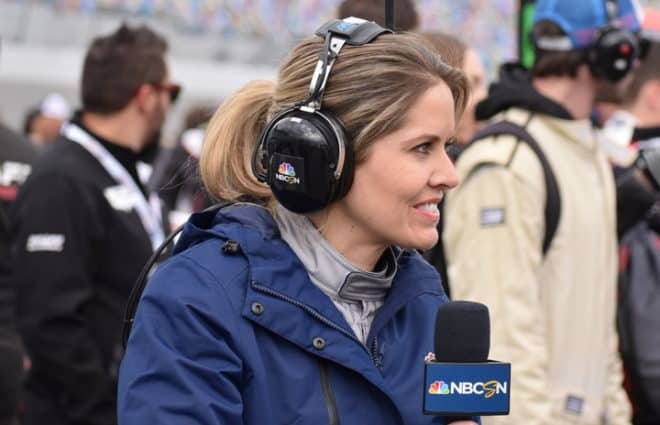 There’s no word yet on Suarez’s plans, closing the book on a surprising turn of events after being named Carl Edwards’ replacement at the Cup level in 2017. Ford Fusion – We say goodbye to this car model after Sunday’s race at Homestead-Miami Speedway. The Fusion has been the car of choice for Ford in the NASCAR Cup Series since the 2006 season, when it replaced the Taurus. The model has yet to win a championship but will most likely win Ford’s first manufacturer’s title since 2002. What a way to go out before the Mustang emerges as its replacement in 2019. Elliott Sadler – Sadler announced the 2018 season would be his final one in full-time competition. He will move on from the NASCAR XFINITY Series as a 13-time race winner and from a career that also includes four Cup wins. He will be making his 395th series start on Saturday but sadly, his career will conclude without that coveted XFINITY title. Spencer Gallagher – The Las Vegas native will retire from driving after Saturday’s race at Homestead-Miami Speedway. Gallagher got his only win in the series at Talladega in April but was then suspended for violating the sport’s drug policy. Just 28, he will move into a management role at GMS Racing going forward. Ross Chastain & JD Motorsports– It was announced last week Chastain will take over the No. 42 Chevrolet full-time in the XFINITY Series in 2019 for Chip Ganassi Racing. Chastain and JD Motorsports have been working together since 2015, making the playoffs this season and generally overachieving considering the level of equipment. Tyler Reddick & JR Motorsports – Reddick, an XFINITY rookie this season, will move to Richard Childress Racing for 2019 after a year with JR Motorsports. He will race for the championship at Homestead-Miami Speedway Saturday before moving on. Ryan Preece & Joe Gibbs Racing– Preece will move up to Cup in 2019 with JTG-Daugherty Racing, replacing Allmendinger. He says goodbye to JGR, a team that gave him a shot to show his true skill despite being on a part-time schedule. OneMain Financial – OneMain announced they are leaving the sport following the 2018 season. The company, in one form or another, has been in NASCAR since 2005 with Robert Yates Racing. They’ve been sponsoring Elliott Sadler since 2011. 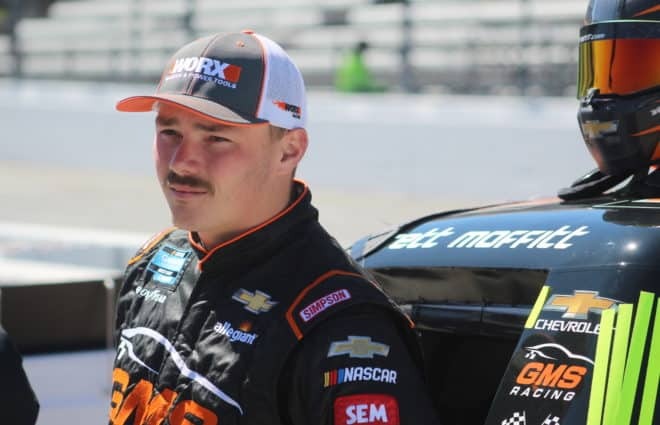 Justin Fontaine – Fontaine has run in the Truck Series since 2016 and spent this year with Niece Motorsports. He has decided to step away from the sport after Homestead. Wendell Chavous – In a similar situation to Fontaine, Chavous announced he will leave the sport after the season. He’s spent the last two years at Premium Motorsports and ran fifth in his final race ever, Talladega last month. 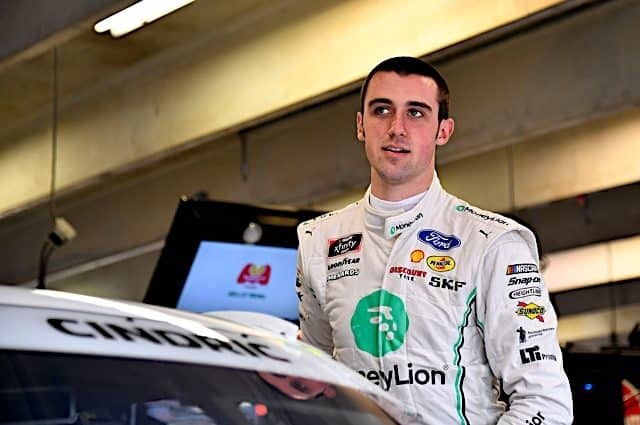 Premium Motorsports – Jay Robinson and company have announced they will focus strictly on the Cup Series beginning in 2019, leaving the Truck Series altogether. Noah Gragson & Kyle Busch Motorsports – The duo will part ways after two seasons. Gragson will move to the NASCAR XFINITY Series with JR Motorsports beginning in 2019. Harrison Burton will replace him in the No. 18 truck. Camping World – Camping World will no longer be the brand associated with the NASCAR Truck Series in 2019. While the same company will be a part of the series, a new brand, Gander Outdoors, will take over as title sponsor. The newly renamed NASCAR Gander Outdoor Truck Series will begin in 2019. Clayton has been writing NASCAR for the last seven years and has followed the sport for as long as he can remember. 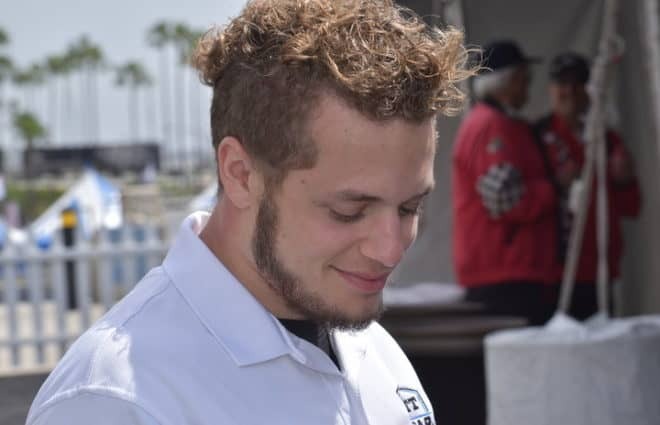 He's a Jersey boy with dreams of hoping one day to take his style south and adding a different kind of perspective to auto racing. And bye-bye to Dodge after this year as well for Xfinity….